← BATMAN V. SUPERMAN: WHO WILL WIN? Just like Alfred Hitchcock and Edward Hopper are familiar to neurotic connoisseurs and average slobs alike, so too Daniel Clowes is one of those select alternative cartoonists known to the general public. “Ghost World” is a bona fide cult classic that evokes better than most that special blend of Gen X rage. The Clowesian world is mired in self-loathing coupled with self-delusion forever seeking some sort of redemption through perpetual self-deprecation. Clowes perfected an ironic noir in the ’90s all his own. Since then, many readers have been catching up. His latest graphic novel, “Patience,” finds him in top form. It is published by Fantagraphics Books. When I first moved to Seattle in 1993, Fantagraphics began publishing “Ghost World” in the one-man comics anthology, Eightball (1989-2004) by Daniel Clowes. I remember it, at the time, as being so perfectly rendered and mirroring the sarcastic bite of the hipster scene I was experiencing. It seemed too good to be true. And yet it did exist. There are other great alt cartoonists to enjoy, to be sure, but Clowes has the pulse on a certain strain of disconnected disquiet. His work will always be inextricably linked with the DIY/zine/grunge era. That’s the sweet spot his characters revolve around whether it’s 2006 or 2029. Clowes, as he ages, just keeps getting better. Like a cartoonist version of David Letterman, he cannot, nor should not, try to extricate himself from his roots. In Clowes, the Gen X muffled rage lives on. In this new book, we see just how timeless a Clowesian world can be. Clowes has created an excellent vehicle for his vision. He has Patience, his ideal young woman, and he has Jack who, due to just the right touch of strange, becomes an ideal Clowes alter ego. This is quite a remarkable, beautiful, and ambitious work. Clowes gets to play with all the Clowesian toys in this one. 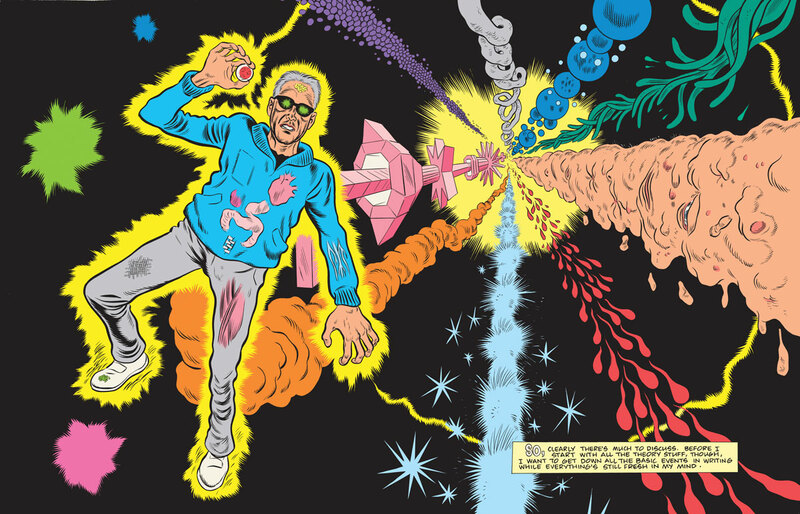 It is a far better world, perhaps a tad too melancholy, but a far better world, to have the work of Daniel Clowes in it. Patience makes for a wonderful Clowes girl, full of grit with just the right amount of stubborn optimism. Jack makes for a great befuddled Everyman, just one step away from either utter self-destruction or blissful epiphany. “Patience” is a 180-page full color hardcover and will be released on March 21st. For more details, and how to purchase, visit our friends at Fantagraphics Bookstore right here. 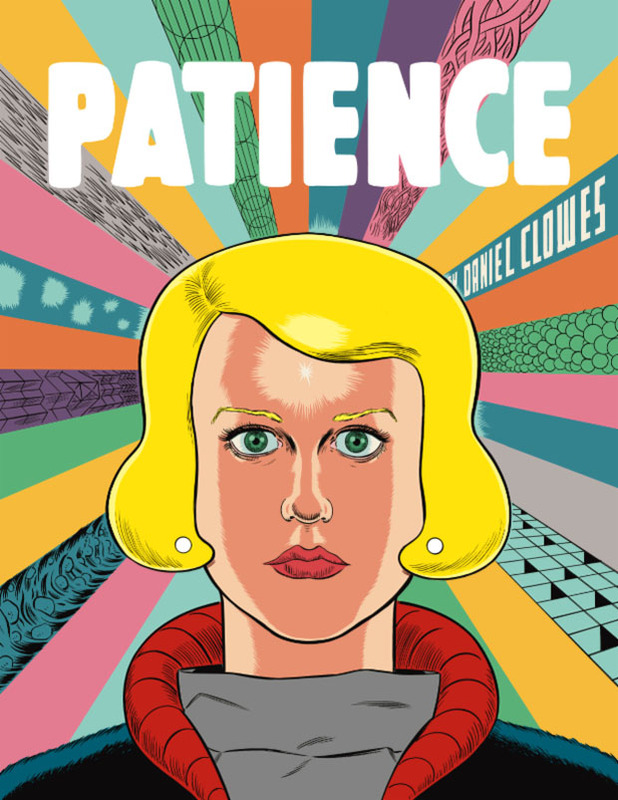 And don’t miss out on the Daniel Clowes “Patience” book tour. If you are in Seattle, you can see Mr. Clowes at the Fantagraphics Bookstore & Gallery this Saturday. Details are right here. This is a bit of a non-sequitur; but Ghost World is the only graphic novel I’ve read. I loved it. I loved the movie, too. Indeed, Ghost World is the gold standard. Thanks for your comments, Randy! Yes, my book A Night at the Sorrento and Other Stories is a collection. However, Alice in New York is included in that book and that could be called a graphic novel, or graphic novella. I try not to take any of these terms for granted. In this case, I think “graphic novel” is very useful and you can get a lot out it the more you know. Yes, Dan is one of the best. I can’t wait to read this book. Clowes is a master, no doubt. He provides, as you point out, “a certain strain of disconnected disquiet,” often with a sense of humor that cuts through the gloom. I’m sure you’ll enjoy Patience!